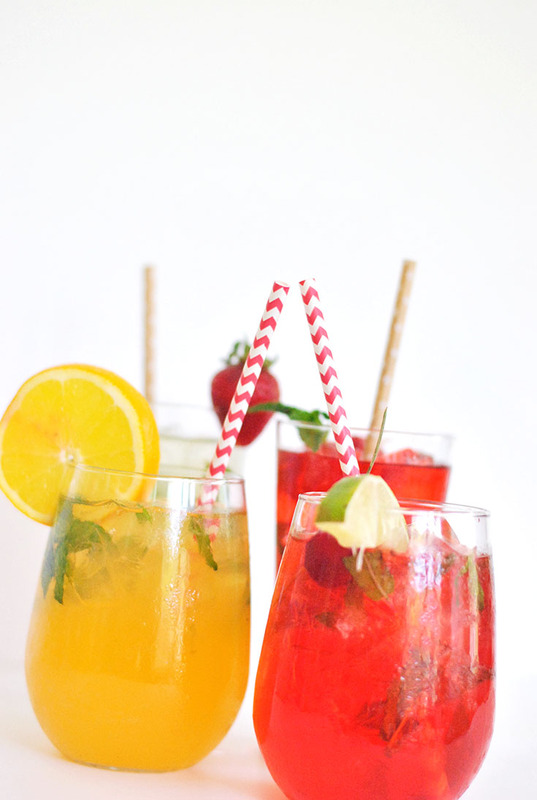 6 Ways to Get Out of a "Rut" & Embrace Your Inner Child [+ a DELICIOUS rainbow of Sparkling Mojito recipes]! Ever felt like you were stuck in a rut? Most of us can answer, "Of course...", because we've all been there, done that. It's like some days I just need a little pick me up - ya know, a little something to remind me what life is all about outside of just this sweet babe. We all have those days - the days when you just need to see something new and beautiful, when you just want to feel those warm fuzzies inside and you can't help but smile and well, luckily I think I've found the secret to that something we all are longing for. And really, it's so simple... you'll be like me and saying "duh" once you make this small adjustment. To find that little spark in your life, sometimes all you need to do is be a kid again. Make life happier with just a pinch of COLOR, a sprinkle of Sparkling Ice, a touch of your favorite song from the 90s, maybe a piece of new jewelry, and just a little taste of new things. Seriously, think about it, who isn't happy when they reflect on their favorite parts of childhood? 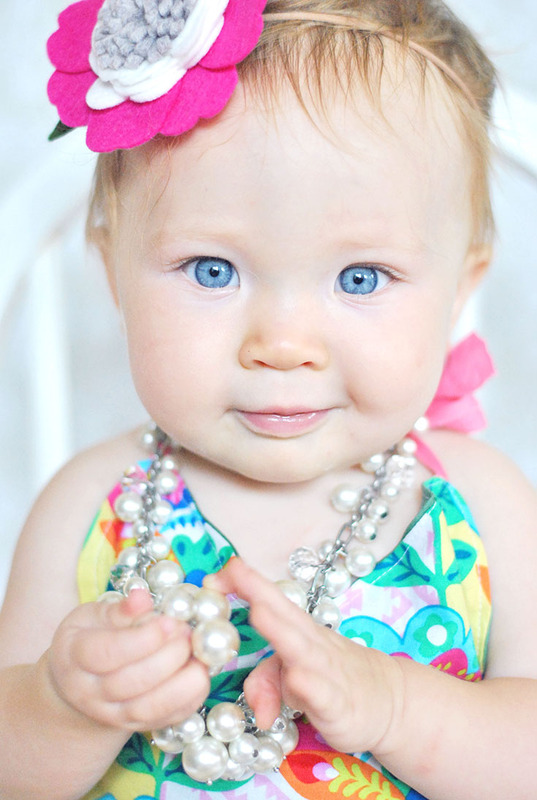 I mean, just watching this kid smiling at her necklace, it's a good reminder that sparkles are fun for all ages - we both love to wear them... and well, I love them in Sparkling Ice form inside of my favorite adult drink. It's totally okay and acceptable to embrace your inner child, at any age, and love on the things that used to make you happy as a kid. So today I'm sharing six ways you can get out of a rut and embrace your inner child! 1. Dance like no one is watching - That's right, I'm giving you FULL license to let lose and go all Footloose on your kitchen floor. Whether you're home alone or babysitting a house full of chitlens, turn on some good tunes and get down. I'm not even kidding when I say, this may be the secret to happiness - feeling the beat, smiling from ear to ear, singing along with the song, and getting your blood flowing while shaking your booty, there really isn't a better way to feel like a kid again than to physically let loose and act like a kid. 2. Style your hair differently - It's true, something as simple as swiping your bangs to the left instead of the right can totally change the way you feel about yourself and about life. If you're looking for something a bit more dramatic, grab some colorful hair dye and do something your inner 5 year old would love - add some pink low lights or get a little wild and dye your hair like a mermaid. Whatever you decide, I'm sure however you switch up your do will be perfect for you. 3. Clean - Speaking of things being perfect, sometimes being a kid again means taking the time to be an adult first. So before things get too crazy kiddy-like, maybe it would be a good idea to make sure your house feels all tidy and clean. I remember learning "everything has a place" as a kid and to this day, my heart feels a little happier when things are in their place and my house looks nice and tidy. 4. Treat yourself - Sometimes it's nice to have something new. It doesn't have to be anything big either, just like when you were a kid! Find a pair of socks that are your favorite color, spend a moment picking out a bouquet of flowers, or maybe even just grab a movie that you love to watch and spend the evening on the couch enjoying it. Spoil yourself with a small little "happy" and you won't be able to stop smiling. 5. Pay it forward - Remember that feeling of donating the change from the grocery store cashier to the Salvation Army guy ringing a bell? Those warm fuzzies you get from helping others may be favorite, I mean what better way to bring a smile to my own face than also helping bring a smile to someone else's face? You don't have to donate to a charity to pay it forward, although that's a nice way to do so, sometimes it's nice to pay for the guy behind you when in the drive thru or leave a gift card on a new mom's car when you see "Stork parking" at a shop. The possibilities of how you can spoil someone and make them smile are nearly endless, just spread joy and I guarantee you'll feel happy. 6. Try a New Recipe & Eat the Rainbow - While kids tend to be picky, your adult palette is probably longing for something new. Skip the mac & cheese and head to the grocery store, buy foods you've never tried before, in an assortment of colors. Head home and fix yourself a colorful, delicious meal and enjoy. 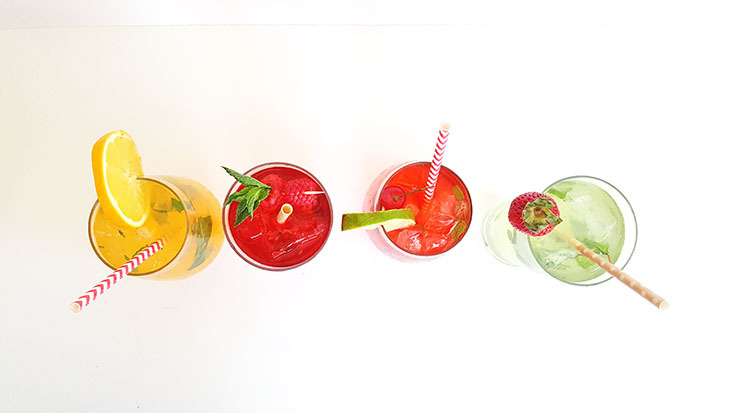 After you've had a rainbow meal, maybe it's time to drink the rainbow too? 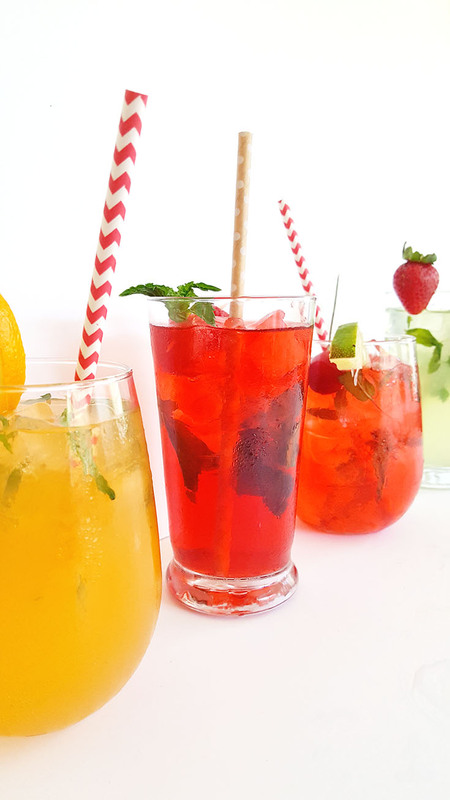 Today I'm sharing FOUR different easy to make Mojito recipes that will rock your world and totally make you feel happy as a clam. Preparing for this cute cocktail is key - begin by adding the mint leaves, the lime juice, and the fresh squeezed lime into the cup together and muddle. 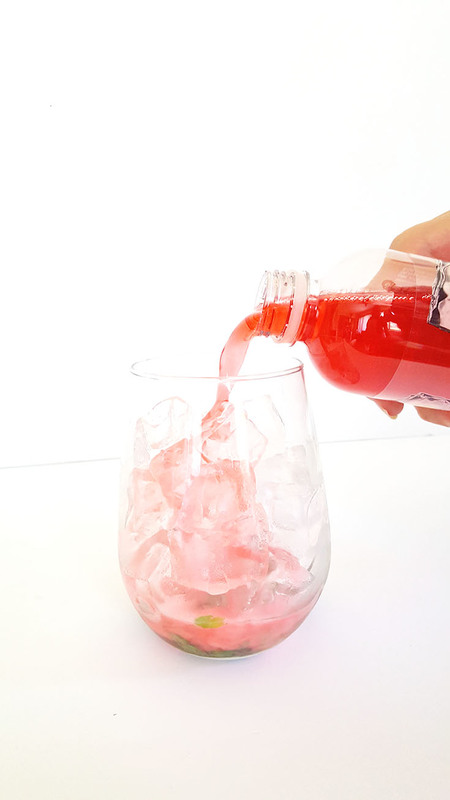 Next you'll add ice and Sparkling Ice, the part that gives this drink it's unique flavor! We went with a variety from Strawberry Kiwi to Black Raspberry and they all are delish! 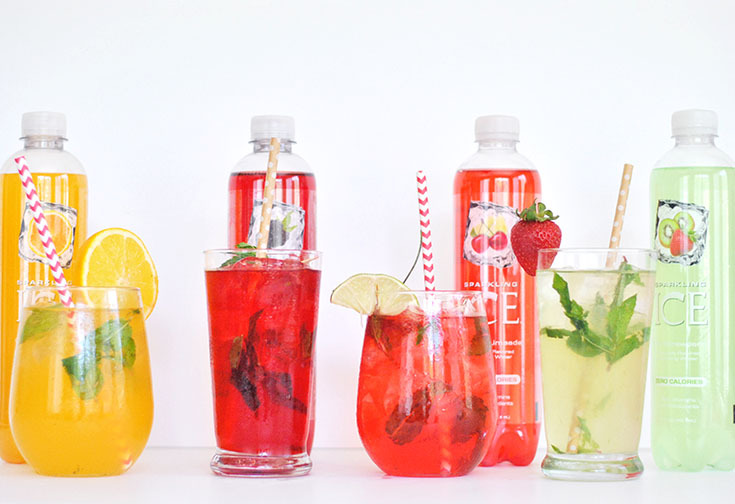 Side note: I'll be honest and tell you, they are all so refreshing and delicious - it was hard to stop after one! Following that you'll want to shake and/or mix it all together. Finally, add a pretty little garnish and your all set! That's it, now bottoms up and enjoy your cocktail! 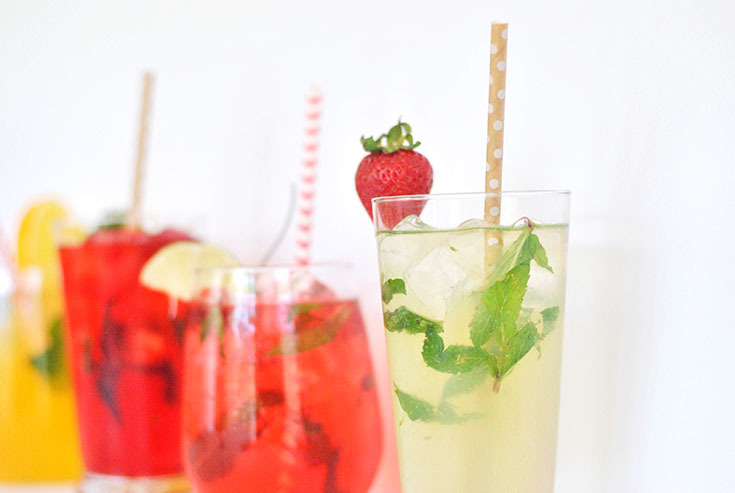 I guarantee you'll be smiling while sipping these and you'll definitely want another... and another. Luckily, you have 15 delicious Sparkling Ice flavors to choose from so you'll be able to truly taste the rainbow and smile. 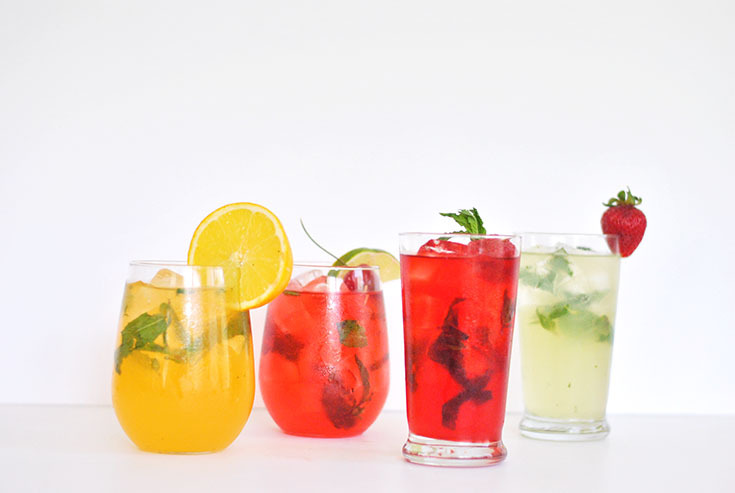 Life shouldn't be bland after all so Be Not Bland and give these tasty beverages a try!